Camille Rowe and Tilda Lindstam for rag & bone's March 2019 Photo Project. rag & bone, since 2002, have been dedicated to that Holy Grail of real-life fashion: perfectly-fitting five-pocket jeans. Searching for denim that isn’t at least slightly ill-fitting is Sisyphean work. The numerous categorical choices can be daunting (How high? How low? How dark, or light, or thin, or flared? How many pockets?). But rag & bone emphasize solid craftsmanship—the real key to a great fit, the kind that makes you stop searching. Tilda Lindstam for rag & bone’s March 2019 Photo Project. 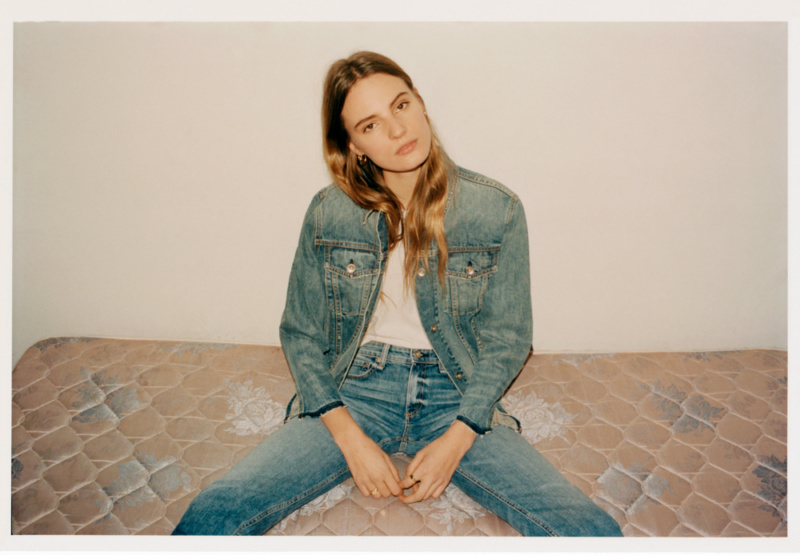 There’s the Low, available in the Dre, inspired by rag & bone’s boyfriend jean—it sits on the hip. The Mid, which sits just above the hip, is available in the Cate and comes slim through the thigh, tapering as it makes its way down the leg. The High sits just below the waist, and you can get it in skinny, cigarette, flare (the Nina) and ankle straight (the Maya). Super High sits at the waist and is available in the Ruth straight or wide leg—the hips and thighs slim, the bottom of the jeans wide. It’s like a Dewey Decimal System for your pants—finding the perfect pair will be easier than ever. Camille Rowe for rag & bone’s March 2019 Photo Project. rag & bone Denim Fit Guide from Cultured Magazine on Vimeo.